I'm sure you already know what honing oil is, but let me elaborate just in case. 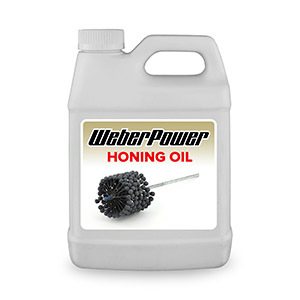 Honing oil is used to keep the stones clean and free of debris while honing cylinders. Honing oil also does the important job of cutting off the microscopic metal particles you are attempting to remove from your cylinder. This cutting or "honing process" is what gives the piston rings a cool place to hang out and helps them seat.